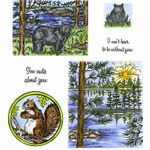 Northwoods Rubber Stamps is proud to present our online store, which carries the majority of our stamps listed in our current catalog and supplements, for your card-making and scrapbooking needs. 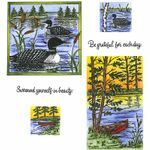 Our rubber images are deeply etched and closely trimmed to eliminate ink shadowing. 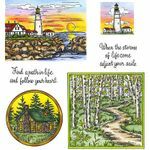 They are also mounted on high quality maple wood blocks, which provide a sturdy, long-lasting foundation for stamping. 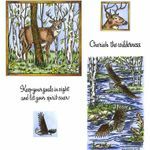 We would like to thank our artist, Jean Arneson, for providing us with the beautiful original illustrations and lettering for our stamps. 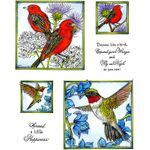 The use of these designs is limited to hand stamping for personal and non-commercial use. No reproduction of these designs is allowed without written permission.